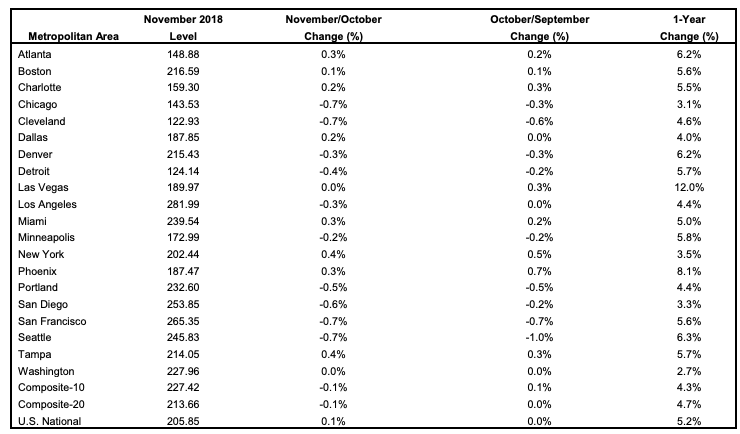 Home prices in the U.S. grew 5.2 percent annually in November, but fell 0.1 percent from October, according to the latest Case-Shiller U.S. National Home Price NSA Index released on Tuesday. That’s the fourth consecutive month in which annual home price growth in the U.S. slowed or stalled, according to the widely-cited index. Experts responding to the news say that home price appreciation will continue to slow in the coming months. Despite the slowdown, existing-home sales have also gone down as affordability remains an issue for buyers, thanks in part to a previous run-up of home prices in the last few years. “Home prices are still rising, but more slowly than in recent months,” said David M. Blitzer, S&P Dow Jones Indices managing director and chairman of the index committee, in a statement. 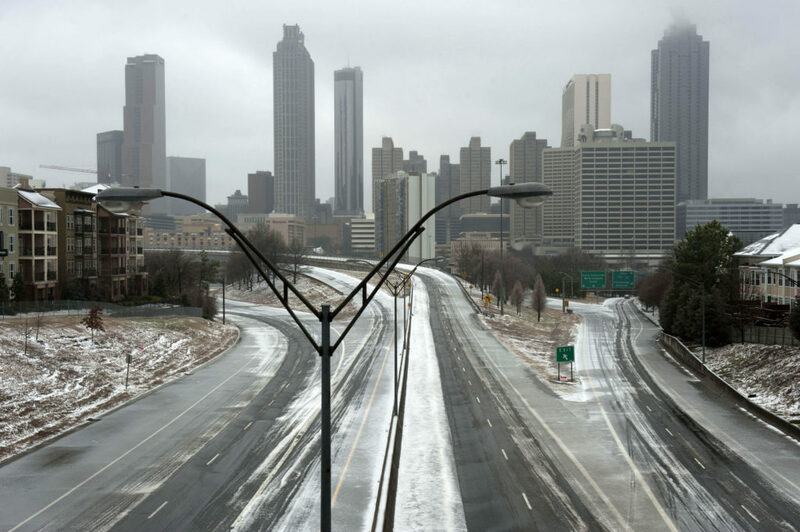 Blitzer says despite declining sales, the overall economy is strong — offering some solace to economists worried about a looming housing and economic crisis similar to that of 2008. Keller Williams senior economist Ruben Gonzalez says home price appreciation will likely drop below 5 percent in 2019, thanks to increased inventory and declining buyer demand caused by rising mortgage rates in 2018. As a result, Gonzalez says income growth may finally catch up with home price growth — giving buyers a much-needed leg up in a competitive real estate market. Regionally, Las Vegas, continued to lead the way with a 12 percent year-over-year increase. San Francisco and Phoenix also saw increases of more than 6.3 percent. The S&P/Case-Shiller U.S. National Home Price Index is a composite of single-family home price indices that is calculated every month; the indices for the nine U.S. Census divisions are calculated using estimates of the aggregate value of single-family housing stock for the time period in question. 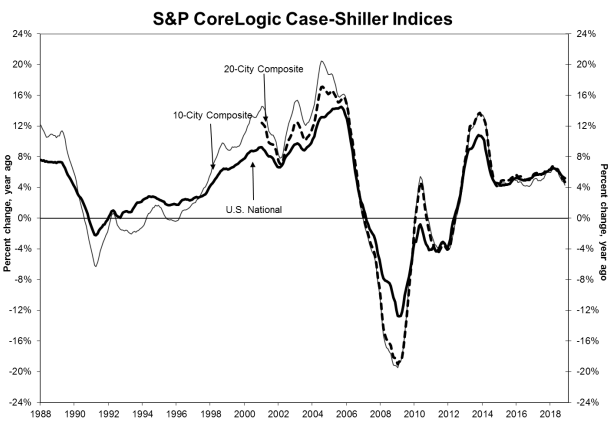 CoreLogic serves as the calculation agent for the S&P/Case-Shiller U.S. National Home Price Index.